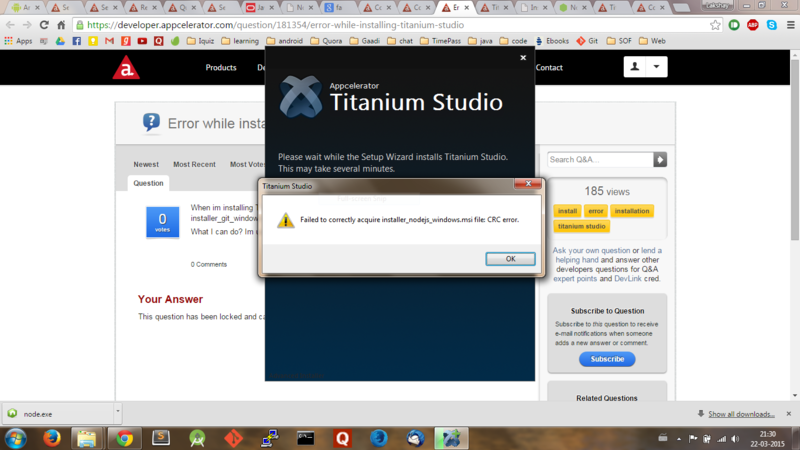 I am trying to install titanium studio in windows 7 . But i am stuck as it is giving me an error : Failed to correctly acquire installer_nodejs_windows.msi file :CRC error . Please have a look at the screenshot . You first have to install Node.js from the official website. I had the exact same issue and this solved my problem.